Did I buy it with my own money? I doubt it. After all, I was only six years old. Even though I was only in the first grade, music had already captured my imagination. Before I entered kindergarten, I had destroyed a great portion of my parents’ record collection. 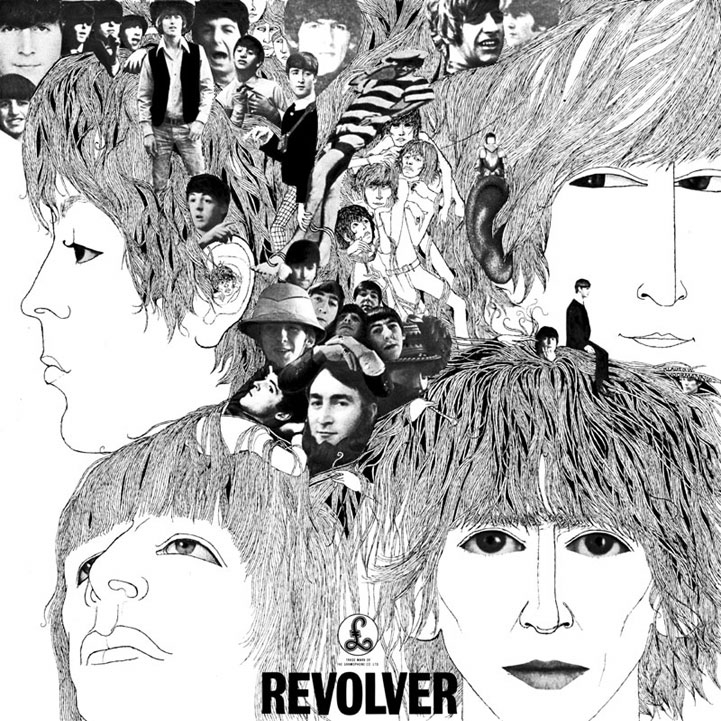 My favorites were Revolver (“Yellow Submarine”!!) and Aftermath (“Stupid Girl” struck a chord with me for what I assume are fairly obvious reasons). 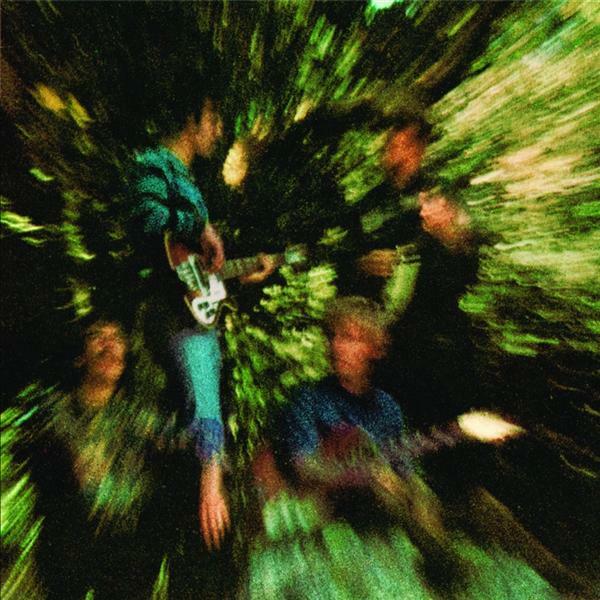 I also remember loving Creedence, particularly “Graveyard Train” from the Bayou Country album. Yes, one of my favorite songs as a five-year-old was a nearly nine minute dirge about a grief-stricken man who commits suicide by standing in front of a train carrying the corpse of his dead lover, In retrospect, I suppose that explains a whole hell of a lot about my future musical leanings (John Fogerty was, like, SO goth!). 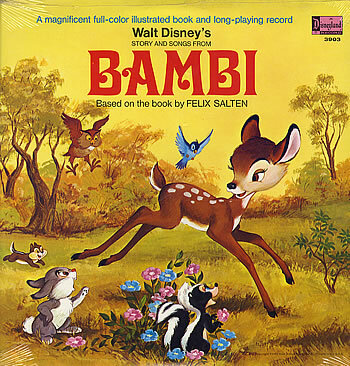 Of course, like any self-respecting kid I also had a large collection of classic Walt Disney soundtrack LPs to help counteract my interest in graveyards and death. “Little April Shower” was a perfectly pleasant tune and I liked it very much, but I loved “Taxman” even more. It was all about rock and roll to me, even at age of five. I’m not really sure where and when my infatuation with Elton John began. My parents didn’t own any Elton albums, so it must have developed via radio and television. I’m pretty sure I saw him sing on one of the late-night music shows of the era like Midnight Special or Don Kirshner’s Rock Concert (but don’t tell my parents I snuck out of bed to watch them, OK?) I don’t think I even knew that “Lucy In The Sky WIth Diamonds” was a Beatles song at the time, or that John Lennon actually played on the track (under the pseudonym Dr. Winston O’Boogie). 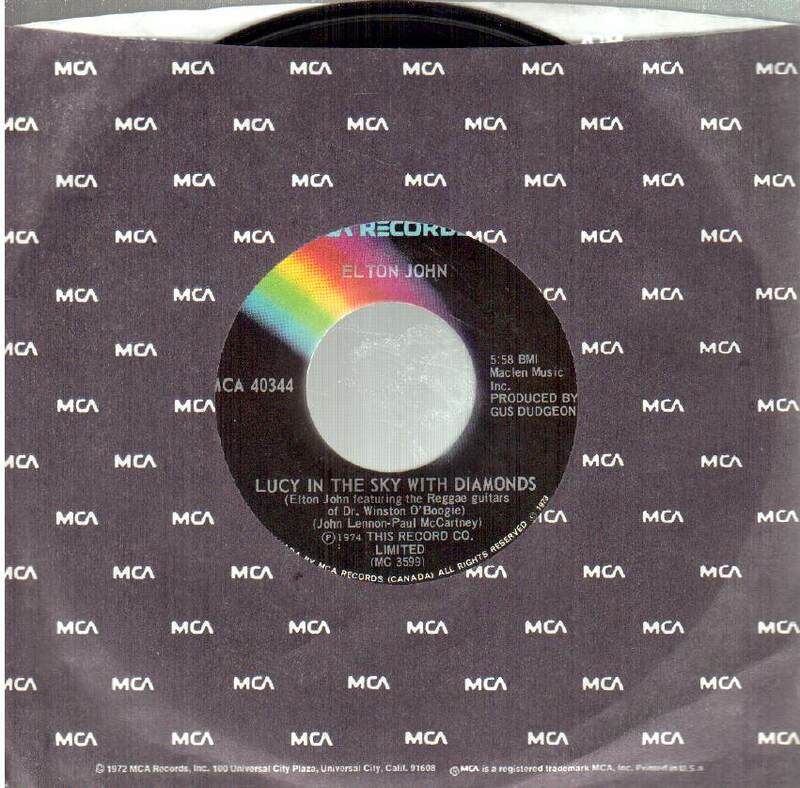 I just knew that I loved the magical imagery of the song, and I really loved the black MCA rainbow label. 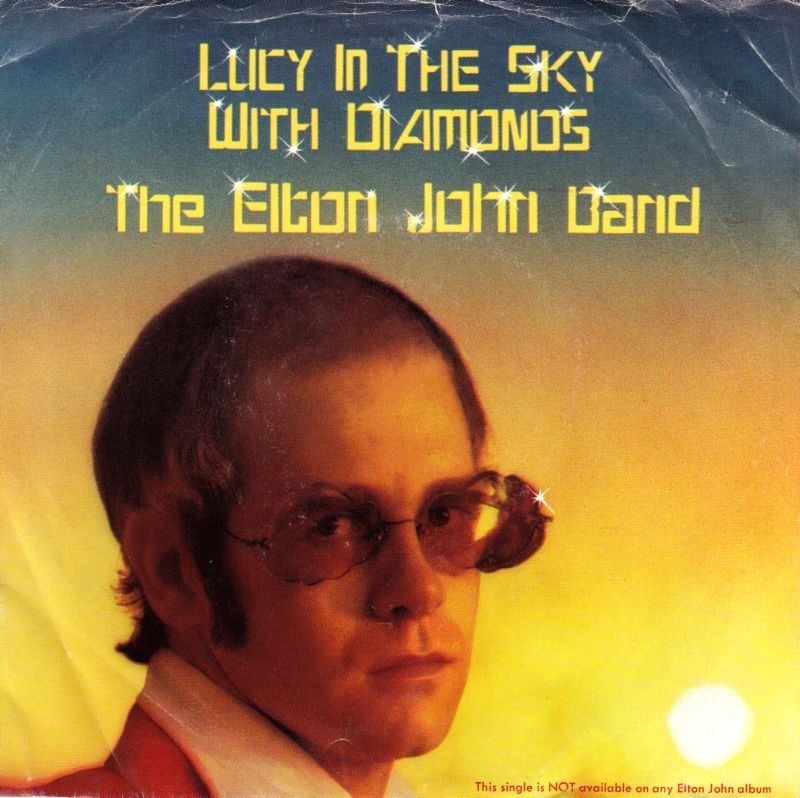 Critics were not particularly kind to Elton’s radically different take on the song, but that didn’t keep “Lucy” from hitting number one on the Billboard Hot 100 the week of January 4, 1975. The song was only available as a single, and didn’t appear on an Elton album until Greatest Hits Volume II was released in September of 1977. 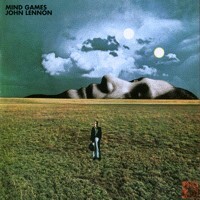 The b-side of the 45 was a song called “One Day At A Time,” another Lennon-penned tune that had originally appeared on his 1973 album Mind Games. As on the a-side, Dr. O’Boogie added additional vocals and guitar. All music-collecting dorks like me love non-album b-sides, and apparently this trait becomes apparent at a young age as I played “One Day At A Time” every bit as often as its more-famous flip side. The collaborative version squashes Lennon’s half-hearted solo original like a grape, and to this day it remains one of my favorite Elton tracks. Indeed it was. I was instantly transported back to 1974 and that beautiful black MCA rainbow label. I played “One Day At A Time” at least ten times in a row that night. I remembered every word and sound from the song. The only thing missing were the crackIes and pops. I was only twenty-three at the time so it sounds weird to say this now, but it made me feel like a kid again. And that is just one of the many reasons that I love music. I look forward to sharing that love with you on this blog. 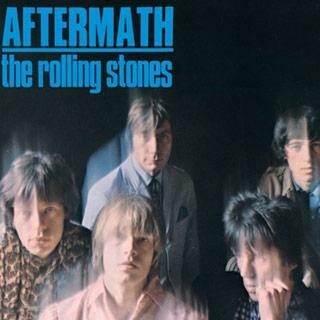 Posted by The Analog Kid on October 15, 2013 in Rock and tagged Analog Kid, Bambi, Creedence Clearwater Revival, Elton John, John Lennon, Lucy In The Sky With Diamonds, The Beatles, The Rolling Stones. The first album i paid my own money for was Boston. I also remember getting the 45 for Disco Duck at Christmas in 77 or 78. Holy Grail Quest Request of the day: the long-lost KEGL launch commercial television commercial, it was animated, and the Eagle soaring through an orange/yellow landscape to Styx Too Much Time on my Hands. Damn, check out the big brain on Hargard with the prediction. Yep. He nailed it. Spooky.